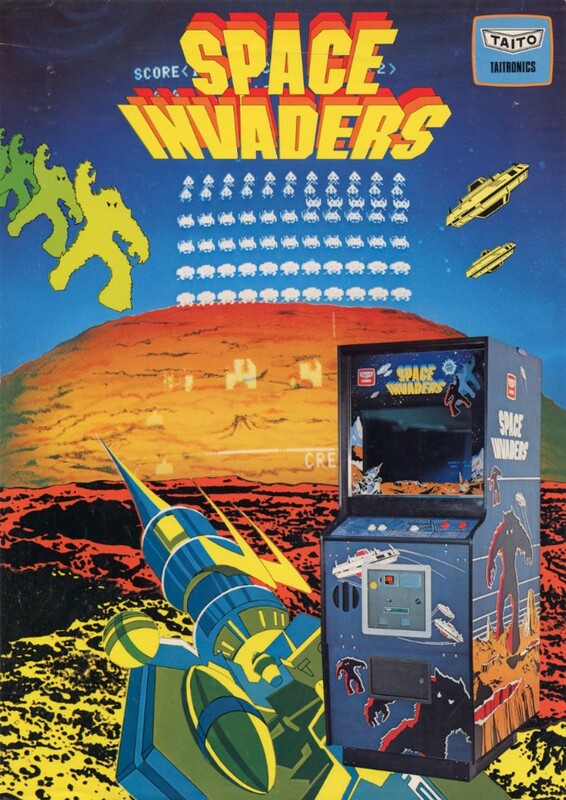 Space Invaders is a 1978 arcade video game created by Tomohiro Nishikado. Inspired from popular media like Breakout, The War of the Worlds, and Star Wars, Space Invaders is one of the earliest shooting games and the aim is to defeat waves of aliens with a laser cannon to earn as many points as possible. The above is the promotional flyer for the video game, and the title of the video game in the flyer was probably designed based on the font ITC Machine. ITC Machine font family was created by the design team of Bonder and Carnase. It is a bold all-capital typeface with a geometric appearance. You can view more details and buy it here. For a free alternative, You may check out Atrox. You can follow the links above to buy the identified font, and to preview or create simple text-based logos or images using Space Invaders Font, you can use the text generator below. The following tool will let you create images from your custom text using Space Invaders Font, after generating an image, you can right-click on it to download or click on the "EMBED" button to get links to embed images on the web.